new material and capturing an artist whose piano and singing [are] as creative and inspiring as ever." I cant wait for the next installment of Hooties career. Bayou Blues Harp is the fourth volume in Hip-Os "House Rockin & Hip Shakin" series spotlighting 20 cuts from the Nashville-based Excello label recorded between 1954 and 1970. The little labels impressive list of artists included: Lazy Lester ("Ponderosa Blues," "If You Think Youve Lost Me," "I Told My Little Woman"); Slim Harpo ("Moody Blues," "Snoopin Around"); Lightnin Slim ("Im Him," "Wintertime Blues"); Baby Boy Warren ("Sante Fe," "Bring Me My Machine Gun"); Little Sonny ("Love Shock," "Ill Love You Baby"); Jerry McCain ("Things Aint Right," "Trying To Please"); Vincent Monroe ("If I Had My Life To Live Over"); Silas Hogan ("Lonesome La La"); Ole Sonny Boy ("You Better Change"); Whispering Smith ("Storm in Texas" aka "Texas Flood," "Hound Dog Twist"); Jimmy Anderson ("Frankie & Johnny"); and Lonesome Sundown ("Dont Say a Word"). If youre looking for a whole lotta hot harp, this is the collection for you. It's 1966, and the radio is pounding out Wilson Pickett's newest hit, "Mustang Sally." Who could have dreamed that song would become a staple in almost every bar band's repertoire, and still is more than 30 years later. I have fond memories of seeing Wilson Pickett at the Apollo Theater back in 1966, when he was THE MAN. Women in the audience would scream until they were hoarse. I saw them carry out adoring fans who succumbed to Picket's intense and sexual performances. Everyone owned a copy of the LP The Wicked Pickett, and it was without a doubt the #1 party album of it's day. But that was 1966. It's now1999, and after many years of personal problems and relative obscurity, the "Wicked One" is back with a new album, It's Harder Now (Bullseye Blues), and it immediately goes to the top of my soul/blues list for best new release of 1999. After listening to the opening track, you know THE MAN is back. The voice and the shrieks are still intact, and the new songs selected for this release transport us back to that golden period of his career. Tracks such as "Outskirts of Town," "What's Under That Dress" (with Pickett letting everyone know that "...I just got to see, what's under that dress, that's what's worrying me..."). The track that will get the most airplay is "Soul Survivor," where Pickett gives credit to the likes of Otis Redding, Solomon Burke, Joe Tex, Aretha Franklin, Don Covay and his other labelmates at Atlantic Records. One touching line is, "...Back in '65, when we were all alive...," speaks strongly to the sentimentality of this track. If you are still into partying, or just love 60's Soul, do yourself a favor and pick up a copy of this wonderful new release. From one "Soul Survivor" to another, welcome back. Now that the late, great blues pianist/vocalist Charles Brown is gone, we need to cherish every single note of this man's music. 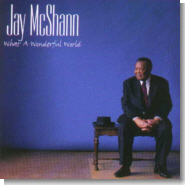 And his latest posthumous CD, In A Grand Style (Bullseye Blues & Jazz), is certainly worth treasuring. Unlike his previous Bullseye releases, this one features Brown performing without an accompanying band. Thus, his piano playing stands out, and he proves that he wasn't being carried by the band in his later years. 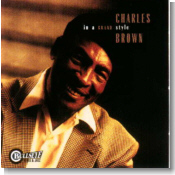 Brown was classically trained as a pianist, and he can still play more than just the blues, as heard on "Charles' Chopin Liszt." And then there's that voice ... one of the better singers in the history of blues, still sounding as fresh and vibrant as he did 50 years ago. Just listen to his phrasing on the slow blues of "Black Night"...very few singers know how to pack so much emotion into every single note. In A Grand Style is a truly wonderful album, especially for late-night listening. If this is Charles Brown's last album, then I think he saved his best for the end. If the Charles Brown CD appeals to you, then I also recommend For The Ears (Vanguard) from pianist Sir Charles Thompson and the Hawk. 'The Hawk' refers to noted jazz saxophonist Coleman Hawkins, who is a featured soloist on this session. This is more jazz than blues, but straddles the line between the two genres. My favorite number was a spirited version of "Stompin' At The Savoy," which demonstrates Thompson's strongest piano work. Also crossing over between blues and jazz is another Vanguard reissue, Oh Love, from Jimmy Rushing & Friends. Rushing's friends on this session include jazz heavyweights Walter Page, Jo Jones, and Buddy Tate. But it's Rushing's booming voice that highlights the CD, especially on blues classics "I Want A Little Girl," "How Long," and an very good version of "Goin' To Chicago." 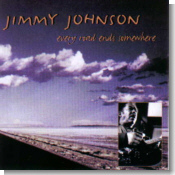 Jimmy Johnson is one of Chicago's finest blues musicians, yet he still is relatively unknown outside of the Windy City. Except for a few highly-acclaimed albums on Delmark and Alligator more than a decade ago, his recorded output has been minimal. That's what makes his newest CD, Every Road Ends Somewhere (Ruf), worth its weight in gold. This is a solid release from start to finish, highlighted by Johnson's stinging West Side-style guitar and soulful, almost falsetto, vocals. Most of the cuts are original numbers, and the covers are so different from the originals that you'll recognize them only by the lyrics. For example, "Cut You Loose" gets a much funkier treatment than the original, and "Blue Monday" is done at nearly twice the tempo of the version by James "Thunderbird" Davis. Johnson turns in an excellent impassioned rendition of "Black Night," with very nice phrasing on his guitar. The best original tune is the upbeat shuffle number "Rock And A Hard Place." Every Road Ends Somewhere is a keeper. Earwig Records has in the past released more traditional-style recordings from Chicago and Mississippi artists. It's So Nice, by Chicago vocalist Johnny Drummer, is Earwig's foray into the soul age, but this trip doesn't make the mark. Drummer, a veteran of many years on the Chicago club scene, is a decent singer, although his voice sounds strained at times. Oddly enough, for someone with the stage name of 'Drummer,' there are no live drums on the album. Thus, the music here sounds too programmed for my tastes. Now, on to what Earwig does best ... a new set of recordings from eclectic bluesman Louisiana Red, Millennium Blues. A solid band of Chicago sidemen were lined up to back Red for this album, including Willie "Big Eyes" Smith on harmonica instead of his customary drums, Willie Kent on bass, and Allen Batts on piano. The dozen cuts here (plus one touching spoken narrative on Red's rough childhood) are all done in his usual frantic, disjointed style. I especially liked his shouting vocals on the hypnotic "Play On Your Harp." His best guitar work comes on the raw, slide-driven "Let Me Be Your Electrician." But then he shows his versatility by playing a jazzier style on the instrumental "Red's Jazz Groove." For another change of pace, don't miss the solo acoustic blues of "Orphanage Home Blues," with Red playing some nasty slide guitar. For even more variety, the title cut is a fine instrumental with a New Orleans beat to it. Lousiana Red is definitely one of a kind, and Millennium Blues is a worthy addition to his discography. Mississippi-born harmonica player/singer Grady Champion is being heralded as the next 'big thing' in the blues world. His new CD, Payin' For My Sins (Shanachie), is produced by Dennis Walker, who played a big hand in the early careers of Robert Cray and Joe Louis Walker. The CD is a mixture of both raw blues, as on the opening cut "I'm Smilin' Again", and a more soulful sound, evident on the next number, the Ike & Tina-ish original "You Got Some Explaining To Do." It's obvious that Champion has a world of potential, but is still trying to figure what kind of artist he wants to be. Personally, I think his voice is better suited to the rougher-edged blues material, like the uptempo "My Rooster's King" or the snaky "Troubled Mind." Champion's best harp work can be heard on the Sonny Boy Williamson classic "Don't Start Me To Talkin'." Payin' For My Sins is a strong debut for Grady Champion, but I've got a hunch that his next album will be more focused and even better. A self-released album that deserves better distribution comes to us from the young New Orleans guitarist Kipori "Baby Wolf" Woods. The grandson of longtime New Orleans bass player Lloyd Lambert, Woods recruits New Orleans buddy Davell Crawford to add his prodigious talents on keyboards on Blues Man From Down South (Baby Wolf Entertainment). Crawford's presence elevates this disc from something of primarily local interest to one that fans of gospel-influenced, funky blues should try to find. The version of "Stormy Monday," highlighted by a fantastic gospel piano intro, is worth the price of the CD alone. "Smokin' That Fire" is a good, uptempo number featuring some nice guitar riffs from Woods and Longhair-style New Orleans piano from Crawford. Woods is a competent guitarist and a pleasant singer, and the backing band is good, but it's Crawford's contribution that stands out. Check out Baby Wolf's web site for more info. What can I say about the music of Sonny Terry & Brownie McGhee that hasn't already been said thousands of times. These two were one of the greatest pairings in the history of music. Backwater Blues (Fantasy) was recorded live at Sugar Hill in San Francisco in 1961, and captures this legendary duo in fine form doing 18 classic blues numbers. Among the standards here are "Careless Love," "Key To The Highway," and Brownie's signature tune "Walk On." Sound quality is excellent, and the crowd noises are relatively unobtrusive. Early Hour Blues (Blind Pig), by California blues guitarist Pee Wee Crayton, was originally released in 1984 on Murray Brothers Records. It was part of a series of albums, produced by Rod Piazza and Rob Murray, featuring veteran West Coast blues artists like Johnny Dyer and George "Harmonica" Smith. Backed mostly by Piazza's Mighty Flyers band, Crayton was still in fine form on these '83 and '84 sessions, recorded just before his death in 1985. Like many other native Texans, Crayton was influenced by T-Bone Walker. The hottest numbers here are the slow blues tunes, like "Early Hours," "When I'm Wrong," and the exceptional "Come On Baby." Closing out this fine collection is a blazing instrumental, "Head'n Home," on which Piazza blows some mighty blues harp. Recommended. The first thing youll ask yourself after listening to Chizmo Charless CD Up All Night (Blues Leaf) is "Where has this guy been?" Charles Anderson (AKA Chizmo Charles) is making his solo recording debut at the tender age of 70. This CD covers many different styles: R&B, Urban Blues, Jump Blues, and Swing. Charles handles them all masterfully with his soulful pipes. All twelve cuts are great, but the highlights are "Bed Bug Boogie", "Bad Bad Whiskey, and a decidedly different take on "Shake Your Moneymaker." Along the way, he gets sympathetic backing from James Dougherty on guitar, Dr. James Johnson on piano, and the Midnight Horns. The liner notes read that Charles has been singing for over half of his 70 years. Lets hope he doesnt go that long between recordings. Tired of the same old blues? What you need is a healthy dose of U. P. Wilson. His latest release, Booting (JSP), offers more of his totally original, rhythmic guitar. Wilson was criminally underrecorded until signing with John Stedmans JSP Records in the mid 90s. He counted Stevie Ray Vaughan and Albert Collins as fans, and is famous for his live shows in the Dallas/Fort Worth area. Booting consists of tracks recorded during the sessions that produced Whirlwind, his third JSP CD, released in 1996. Its more of the same mixture of urban and rural blues featuring Wilsons catchy guitar work. (Wilson's nickname is "The Texas Guitar Tornado," and its not an exaggeration). If youre interested in wild, no-holds-barred Texas guitar, give Booting a shot. JSP Records also has reissued Larry Garners first two releases, Double Dues, from 1991, and 1994s Too Blues. Garner is a Baton Rouge resident who has drawn raves over the last few years for his songwriting. In addition, Garner is a solid singer and guitarist. He has a very relaxed style, and injects different styles, including reggae, into his blues. Double Dues features ten very original compositions from Garner, including "Scared Of You," "The Taxman," "California Sister" (based on his sisters interracial marriage), "Past 23," and "Shut It Down," which is different from any blues song youve ever heard. The title Too Blues supposedly comes from a famous blues producer who deemed Garners demo tape as "Too Blues." His loss was JSPs gain. The standout cuts include "Thought I Had The Blues," "Mr. & Mrs. Pain," "Kleptomaniac," "Somebody (Riding Song)," in which he tackles the stereotypes surrounding the "Bluesman" persona, and the Handy winner "Dog House Blues." The only real drag is the nine minute plus "Love Her With A Feeling" thats about five minutes too long. These are two of the better blues releases of the 90s by one of the most original Blues songwriters ever. Rhino Records has recently issued another of its fine Blues Masters series, The Very Best of Johnny "Guitar" Watson. Although Johnny "Guitar" Watson is primarily known for his 70s forays into funk, he was a ground-breaking performer in the blues field in the 50s and early 60s. His guitar work of the early 50s (including "Space Guitar," featured on this collection) was years ahead of its time. In addition to his formidable guitar and vocal gifts, this compilation also displays Watson's talent on piano; he started performing on piano and played it on the first version of "Motorhead Baby," recently covered by Jimmie Vaughan. Most of his other blues hits are here as well, including two versions of "Motorhead Baby," "Hot Little Mama," "Too Tired," "Three Hours Past Midnight," "Lonely Lonely Nights," and, of course, "Gangster of Love". This is a fine collection from an underrated bluesman. I think that The Blues Keep Me Holding On (Mystic Music) from Savoy Brown is probably one of the best CDs that I've listened to this year. Six of the 11 tracks are originals, written by members of the group, and there are some great guest musicians featured: Dave Maxwell, Duke Robillard, Paul Oscher (who is also featured on the new Big Bill Morganfield album Rising Son), Leo Lyons and Roger Earl. The CD opens with "Going Down To Mobile," a nice slow blues featuring some great slow slide guitar and nice harmonica playing by Oscher. "Ain't No Need To Worry" also has some excellent slow slide guitar on it (probably a National steel, by the sound of it), and the track has a really nice early 1930s feel about it. However, the album is by no means all slow --- there are some great uptempo numbers, a couple of real rockers amongst them (a great cover of the Willie Dixon number "That's All I Want Baby" is a good example), and there is a really nice arrangement of Willie Dixon's "Little Red Rooster." My favourite track on the album has to be "Mississippi Steamboat," a real cooking, uptempo blues featuring fabulous boogie woogie piano from Dave Maxwell. The only other thing I've got to say about this CD is "BUY IT !" 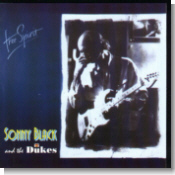 Free Spirit is a nice album from an English band, Sonny Black & The Dukes, who have a lot of talent. The album is a mix of blues and jazz, with 12 good tracks, opening with two jazzy blues tracks ("Free Spirit" and the Albert Collins number "Backstrokin'"). By track four, "Southside Stomp," the album starts to really cook; this track is a great boogie woogie blues and possibly my favourite track on the album. "Swanee River" is another good boogie woogie piece, with a good arrangement and some great piano. "The Nighthawk" is a lovely, slow traditional type of blues, with a guitar that is like a mixture of Muddy Waters and Snooks Eaglin, whilst the following track, "Zip Your Lip," is a great showcase for the harmonica of Alan Glenn. Towards the end of the album there is a track called "Boogie Woogie Dance," which has an almost zydeco feel to it. There is some great harmonica and the slide guitar is very much like the playing of Walter Beasley from the late 1920s. My least favourite track was the last one on the album, B.B.King's "Understand." A well executed track, but just not my cup of tea. In 1997, Clarence Gatemouth Brown released an album entitled Gate Swings. Was he simply cashing in on the swing craze? Ahem! When I (politely) asked him about it, he replied that he has been using a horn section, sometimes swinging and sometimes not, for all of his career. Not convinced? Then listen to Okie Dokie Stomp (Bullseye Blues & Jazz), which collects the best of his Rounder years (first half of the 80s). You'll hear his trademark clean and crisp guitar solos, a little bit of his violin playing, his big voice, always managing to sound relaxed. But most of all, you'll hear horns, lots of them. And man, does it swing! And this was a good 15 years before anybody figured that swing music could sell. An excellent companion piece to his latest CD, American Music Texas Style. (And as a bonus, you get to hear Gate playing harmonica on the song "The Drifter," recorded live at the Bern Jazz Festival in 1982. And you wonder, "Is there an instrument this man can't play?" Like Rod Piazza, but in a totally different way, Lil' Ed & The Blues Imperials have found a winning formula, one that we can count on every time we see them, and which guarantees that we are going to have a good time. On record, we miss the stage antics of Lil' Ed Williams, but we get the rest of the ingredients: great slide guitar playing, a solid rhythm section, and enthusiastic performing from everyone. But we also get the flip side of having found a formula: namely, a feeling that every record sounds almost the same. Still, the band's latest, Get Wild! (Alligator), will totally satisfy Lil' Ed's fans, and it does include a couple of more autobiographical than usual songs, most notably "Change My Way Of Living." Take the best drummer in the blues world (Willie "Big Eyes" Smith), add four excellent soloists (Al Lerman on harp, Jack DeKeyzer and Morgan Davis on guitars and young Tyler Yarema on piano) with a very good rhythm section, choose classics from Muddy, the Wolf, Little Walter, Memphis Slim, and if you get a good singer to sing them, you're sure to get a fantastic album. Unfortunately, on Nothin' But The Blues Y'all (Juke Joint Records), the singer is Smith himself, and his voice is, how shall I say this, something of an acquired taste. The CD is split in two halves: a studio recording where the limitations of Smith's voice are most evident, and an excerpt from a November 1998 gig in Toronto. The live part of the CD is definitely the best. Once in a while, just to entertain people who don't like the blues, we need to play some other type of music on our sound system. If this happens to you, then I recommend Hal Ketchums Awaiting Redemption (Curb). Whaaaat, are you screaming, a country album! Well, a Texas music album would be more accurate. Songs like "Long Way Down," for example, could certainly have been written by Jimmie Vaughan. And this record does feature Delbert McClinton playing blues harp on two songs, and also the guitar of Anson Funderburgh on "When Blue Was Just A Color," a great song he co-wrote with Ketchum. So you see, sometimes, even country music has the blues. The third release from Howard and the White Boys, The Big Score (Evidence), offers a diverse blend of styles. While mainly Chicago-style blues, this unit makes several different forays into funk, r&b and even a smattering of light jazz. Bassist Howard McCullum's crisp expressive vocals front some very witty and clever songwriting, with each member of the band contributing at least two compositions to this CD. The one cover piece, "I Thank You," features a guest appearance by Buddy Guy on guitar and vocals, and is one of the best tracks here. Guitarist/harmonica player Dan Bellini lays down some very hot licks on both instruments, while the rhythm section of McCullum and drummer Jim "Bucka" Christopoulos delivers a very solid foundation. Overall this is a very satisfying effort that grows on you more with each listen. Tired of all the young blues guitarists that are emerging as of late, trying to sound like Stevie Ray Vaughn? Then kick back and give a young man from Compton, California a listen, because this guy doesn't even want to come close. Kirk "Eli" Fletcher's I'm Here & I'm Gone (JSP) is a masterful debut from one of the most brilliant guitarists to come on the blues scene in quite some time. At 22 years of age Kirk Fletcher plays with an authority, fearlessness, taste and confidence usually found within players twice his age. This is classic blues guitar ladies and gentleman, make no mistake about it. Four out of the CD's eleven tunes are original instrumentals showcasing the exquisite and varying talents of Mr. Fletcher, whose mentors were Big Al Blake and Junior Watson. Produced by Jimmy Morello, the accompanying band is basically the same as Roy Gaines' last release, with Rick Reed, Tom Mahon and Paul Fasulo, respectively, making up the rhythm section on bass, piano and drums. Alex Shultz is the rhythm guitarist on three tunes, and Jonny Viau and Troy Jennings are on hand blowing tenor and baritone sax. The vocal duties are shared by John Marx and Jackie Payne, who's impassioned delivery makes the socially conscious "What Is Going On" and the haunting "Silver Spoon" two of the finest tracks to be found here. Overall, this is one helluva CD from a young man whose star will hopefully burn very brightly in the blues community for years to come. A salute to Jon Stedman at JSP Records for continuing to record the deserving artists that domestic labels ignore. A few years ago a group of friends and I were finishing dinner at B.B. 's Lawnside Barbecue in Kansas City when owner Lindsey Shannon approached. He entreated us to stay, waxing enthusiastically about the evening's entertainment: an acoustic blues duo featuring a woman harmonica player. We demurred, saying that we needed to return to the K.C. Blues and Jazz Fest, thus missing Paul Rishell and Annie Raines. After one listening of this CD, Moving to the Country (Tone-Cool), I can understand Shannon's ardor. I expected pleasant country blues, Sonny Terry and Brownie McGee-like stuff. What I got was more. Way More. To be sure, there are acoustic county blues numbers, but this album is a sampler of all the blues and jazz styles Rishell and Raines have mastered over the years. My favorite cuts are the jug-band cakewalk blues that have been re-popularized by Roy Rogers and Keb' Mo, starting with the opening number, "Kansas City Blues," the title tune and Leadbelly's "Keep Your Hands Off Her." If this music doesn't get your toes tapping and your hips swaying, then nothing will. This is not to slight the acoustic songs, for it's a pure delight to listen to Rishell's deft finger-stylings on the National Steel Guitar and Raines full, fat harp sound on "My Washerwoman's Gone" or "Twist It Babe." The tour de` force is their reading of the Django Reinhardt Jazz standard "Tears," as Annie delicately weaves the Stephen Grappeli violin parts on chromatic harmonica around Paul's soulful guitar voicings. And yet Rishell and Raines can still get down and funky with the best of them as Paul trades the acoustic guitars for his Fender Strat and they head for Southside Chicago. The best of their forays in the electric blues is the original instrumental "Sweet Tooth," with Annie taking the front. In a less enlightened era both fellow musicians and fans would say of Raines harmonica playing, "She blows that harp like a man!" I know of few men who can play the harp with the power and intensity of Annie Raines. If I have any negative criticism, it's that Annie Raines' voice doesn't have the power or range of her harmonica. But then, one of my all time favorite female singers is Peggy Lee, and nobody ever accused her of having great vocal range. It is evident that this duo knows, loves and respects the music they play. Moving to the Country is a primer of popular American music from the turning of the Nineteenth to the turning of the Twentieth. And it is evident that Paul Rishell and Annie Raines know and respect one another and it shines through her music. In capable hands such as theirs, the blues is alive and well, and marching straight into the 21st century.